While the 19th century saw the incorporation and maturation of Dubuque, it was the 20th century that defined the oldest city in Iowa. With the 20th century came the industrialization and globalization of America. For the average citizen of Dubuque, America's rise to international superpower meant the loss of sons to wars overseas, the loss of land to large manufacturers, and ultimately the loss of innocence. 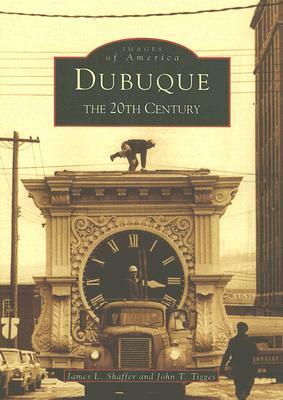 In the face of the extraordinary social, political, and economic changes of 20th century America, Dubuque remained what it had always been: a great place to raise a family. The city's reputation as a bustling center of trade along the Mississippi continued with the opening of the Panama Canal in 1914. Even with the emergence of the automobile, the railroads and river steamboats of Dubuque still continued to evolve. Dubuque adapted, and this ability to adapt inevitably came to define this city in the 20th century, whether it be in response to the Great Depression, World War II, or the Civil Rights movement. The city of Dubuque proved itself capable of overcoming the rapid changes of this last great century.